Western’s campuses sit within one of the world’s most dynamic cities. Sydney is currently undergoing rapid transformation, and Western Sydney is at the forefront of the key challenges in urban development. Along with the expertise clustered on existing campuses, the theme will use new central University vertical campuses in Liverpool, Parramatta and Bankstown to explore experimental and active research interaction. Western sits at the centre of one of the world’s most complex and fascinating cities. Our researchers generate internationally significant evidence, tools, and theories to tackle our most pressing urban challenges. The theme works between different research concentrations spread across the University. The Institute for Culture and Society is one of Australia’s leading social science and humanities research concentrations, and provides leadership in researching digital cities, equitable economies, mental well-being and cultural diversity. A range of Research Centres and Schools house researchers working in fields such as public health, creative industries, property development, transport, smart construction, architectural design, geography and urban planning. The experience of young people in contemporary Western Sydney rarely appears in fiction and poetry. Writers from the region – due to disadvantage and diversity – have fewer opportunities to work in their chosen field. The Writing Western Sydney project is changing that. The Writing Western Sydney Project engaged with Arts organisations and young writers in Western Sydney by establishing the Western Sydney Writers’ Workshop (the Workshop) in 2007. The Workshop nurtured and enabled young writers in the region to develop and represent the literary voices of Western Sydney. These writers wrote Western Sydney into Australian literature. Led by Professor Ivor Indyk , four emerging writers – Luke Carman, Michael Mohammed Ahmad, Felicity Castagna and Fiona Wright – engaged with school-aged writers in the community to build confidence and capacity. Sweatshop, the intensive writing program they developed together, has created a virtuous cycle, engaging disadvantaged young people with an interest in writing, many of whom continue to university study. In June 2017, Research Theme Champions Professor Donald McNeill and Professor Andrew Gorman-Murray hosted the Urban Living Futures and Society Theme Storm. This all-day event was held at Parramatta City Campus, and brought together Western urban researchers from diverse disciplines with keen industry partners as a catalyst for new, engaged research projects. More than fifty Western researchers participated, drawn from social sciences, humanities, environmental studies, business, law, engineering, construction management, health, science and education. Almost twenty industry partners participated, coming from organisations including UrbanGrowth NSW (now Landcom), Create NSW, Transport for NSW, Sydney Water, Churches Housing, Ecclesia Housing, St George Community Housing, Metro Housing and Common Equity. Brainstorming sessions were organised around themes such as digital ecologies, affordable housing, water futures, creative industries, new transport networks and place-making. Problems, gaps and needs were identified, and a range of new urban research projects were germinated. The Theme Champions worked with Western researchers and industry partners to determine targeted collaborative research projects for seed funding. 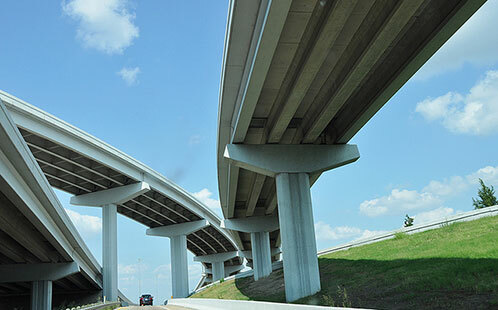 Research projects address a need or problem identified by industry partners. Cross-disciplinary expertise from Western researchers will help address these complex problems of urban living in contemporary Sydney, which encompass economic, political, social, cultural and environmental dimensions. 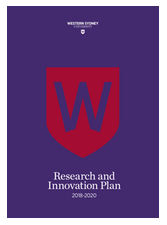 This cross-disciplinary network of university-industry project partnerships builds on existing centres of urban research at Western, such as the Cities and Economies Cluster in the Institute for Culture and Society and the Urban Research Program in the School of Social Sciences and Psychology, helping make Western a sector leader in urban research.